Yesterday was the first time in a while that I’ve driven in the West End. A dark and drizzly night, as the Mills & Boon people might say. What a relief that I managed not to hit any cyclists. Not for want of trying on their part. Lots of them with no lights, or bulbs that wouldn't even past muster on a Christmas tree. Almost everyone dressed in dark clothes; only a few with reflective arm bands or trimmings. One hurtled past me as I was parking and gave me an earful because I hadn’t seen him when I signalled (at some length). Well, why should I have seen him if he was an invisible object travelling at speed on a gloomy evening? 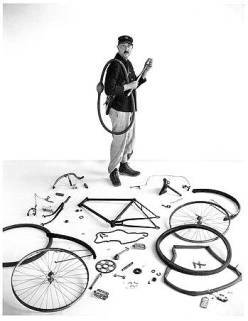 As it happens, I cycle every day – outside London on quiet-ish, semi-rural roads - and now that I’ve got a new bike, replacing my second-hand penny-farthing, I’m becoming quite fanatical about it. There’ve been a couple of near-misses lately, but – touch wood – nothing serious so far. And I’ve only just bought a helmet, because I’ve always been one of those idiots who say, "I’ve been cycling for years without having an accident, so why should I..?" Yet even I wouldn’t think of trying to ride at night in London without immersing myself in fluorescent lime-green emulsion. OK, there should be cycle lanes everywhere. But there aren’t. So how do we deal with that? What I saw last night was what the two-wheel cognoscenti call "aggressive cycling". Maybe it does make sense if you're trying to fight your way through traffic every day. But I won’t be convinced it works until I read about an innocent Audi being run over by an absent-minded mountain bike.